27 Feb 2017 Check out this wrap-up from the HIMSS Annual Conference, one of the biggest events in Health IT. 28 Feb 2017 Can’t travel to the Vatican? No problem. 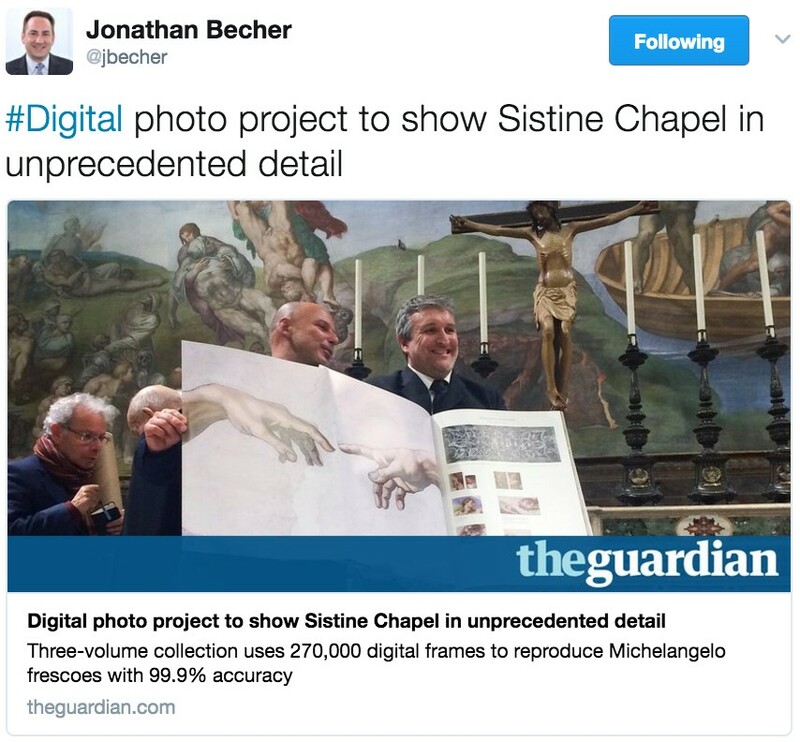 New digital photography can now show the Sistine Chapel in exceptional detail. 1 Mar 2017 In a Reddit AMA, Bill Gates said he was concerned about the spread of false information through digital isolationism. 2 March 2017 Move over Millennials, Generation Z – those born between 1996 and 2010 – love digital shopping tools … and physical stores. 3 Mar 2017 The Economist reports that a host of new health apps will transform how people manage their health. 4 March 2017 Are you a car enthusiast? 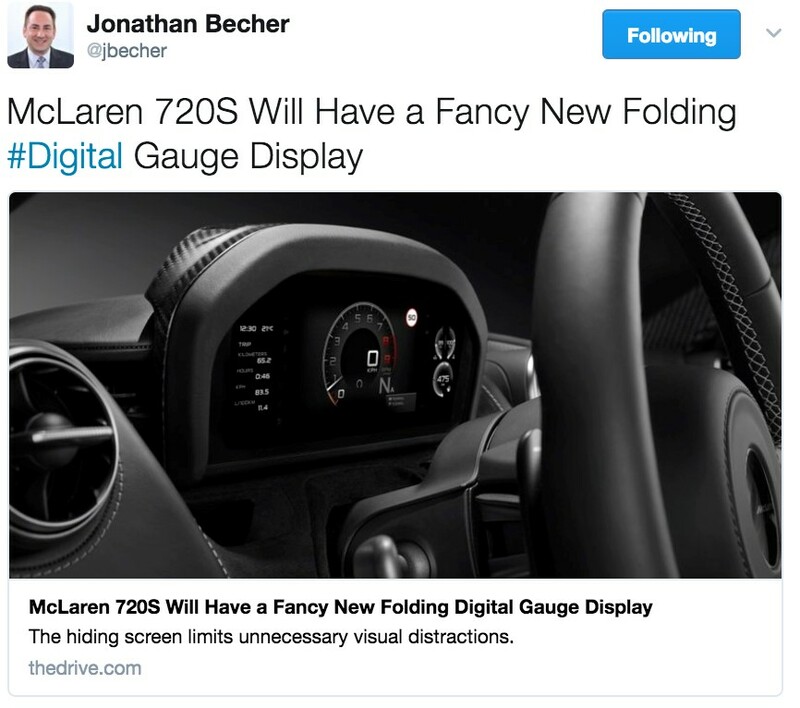 The new McLaren 720S will have a state-of-the-art folding digital gauge display. Mar 10 2017 In a play to launch connected in-home video, Turner Sports and the NCAA will broadcast March Madness on Alexa.